Does Ultrarunning Make You a Better Person? I recently read an article in Ultrarunning magazine by Canadian athlete Tory Scholz, titled "Running 100 Miles Will Not Make You a Better Person." Tory relates that part of her reason for pursing the sport was her hope that by running ultra distances, she would achieve a Zen-like state, leading to some degree of enlightenment, making her "a better person." On self-reflection, she states that running has, in fact, not made her a better person. She admits that she has learned some things about herself through running, but isn't convinced that she wouldn't have learned these things anyway. She loves running, but does not see that it has improved her in any way "as a human being." In some respects I can understand what Tory is saying. I've never "seen God" or achieved enlightenment on a run either (though that has never been a motivation for me). If I measured self-improvement in that way, I'd be disappointed as well. And in some ways I agree with her. Running is very much a selfish endeavor, one that many of us pursue to the detriment of our relationships with those around us. 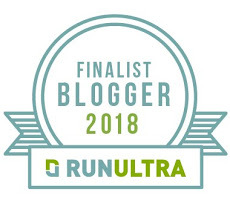 I can say almost unequivocally that running has had, in many respects, a negative impact on my roles as a father, husband, and friend, simply due to the amount of time and energy I've dedicated to it over the past twenty-five years. But while the outsized role that ultra running plays in my life can sometimes become overwhelming, running is also integral to who I am as a person. Whether or not it has made me a "better person" is debatable. For one, how do I quantify that? No, running has not taught me the meaning of life, but I never expected that of it. No, it has not made me a better father or husband. But it has helped me to better appreciate the time I spend with my family, has helped me to be more present in those moments. Running ultras balances my life to some extent; the physical and mental fitness I've honed through hours on the trail provide a reserve for many long overnights in the ER. "If I haven’t become a better person, then what have I been doing over these years? Well, a lot of running. Thinking about running. Talking about running. Adventuring. Challenging myself. Pushing limits. Seeing fascinating pieces of our land. Exploring mountains. Cannot say I am a better person because of it." To me, challenging oneself, pushing limits, and exploring fascinating places sounds like an excellent path to self-improvement, learning, and discovery. For Tory, it hasn't led to enlightenment, and I hope that for her this does not mean it hasn't been worthwhile. Ultra running has not given me enlightenment either, nor has it made me wiser, more compassionate, or more charitable. And so maybe Tory is right. It has not made me a better "human being." But it has made me a better "me."